India lacks geothermal sources of power generation, given its long project development time and large capital investments. However, the geothermal source of power is capable of generating power 24 hours as against the intermittent nature of wind and solar energy. 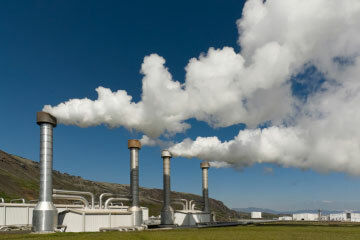 Geothermal energy requires no fuel, works 24 hours a day and is totally green. Read more about geothermal energy advantages and disadvantages. Major earthquake fault lines are ideal places to build geothermal energy plants. They make use of the earth’s heat to generate energy. Countries like Iceland, Indonesia, Philippines and the USA have a strong geothermal energy industry. Geothermal Energy in India is moving at a snail’s pace due to project development and financing problems. However, the potential of this energy resource is immense. Now, Gujarat is set to become the first state in India to use geothermal energy. The Dholera geothermal power plant is expected to be operational in April this year. It will have a 20 kW generating capacity. Dholera experiences immense heat from underground hot springs. Hot water produced from the wells would be used for generating power. Other regions in Gujarat like Gandhinagar and Unai have also been identified for the development of geothermal power plants. Some of the major companies interested in exploring the geothermal energy in India are Tata Power, NTPC, Thermax, Geosyndicate etc. NTPC was collaborating with Geological Survey of India to build India’s first geothermal plant at Tattapani in Chattisgarh. The initial investment in geothermal energy is 20%-25% higher when compared to a conventional power plant. However, the additional cost can be recovered in three years’ time and the plant also has a longer life expectancy. India is capable of generating 10 GW potentially from geothermal sources, which is the entire world’s generating geothermal capacity. However, it needs strong government support and incentives along with financing to develop its potential.